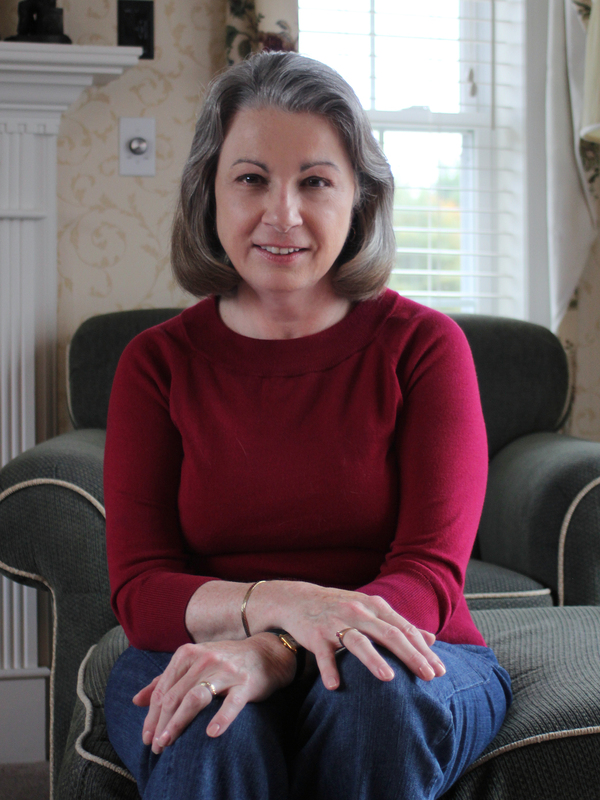 Tristi Pinkston is the author of over forty-five books in various genres and under multiple pen names. She’s the owner of Trifecta Books, has worked as a freelance editor for over ten years, and presents at writing conferences up and down the Wasatch Front. Her novel Secret Sisters was awarded with a Silver Quill by the League of Utah Writers. When she’s not editing or writing (well, let’s face it—she’s always editing or writing), Tristi enjoys watching good movies and taking really long naps. She lives with her patient husband, four highly intelligent children, and one cute little dog in the Rocky Mountains. You can learn more about her at www.tristipinkston.com. Ron says he was an Army brat growing up, and lived all over the country, from New York to California and points in between. 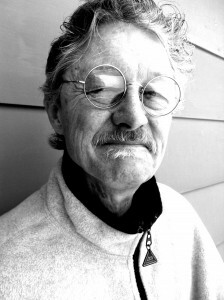 He began writing fiction full time at the age of 66 after a long career in journalism and public relations. 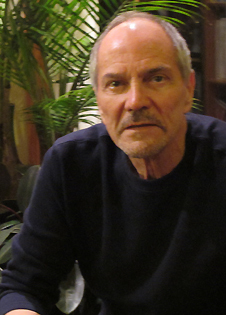 Ron graduated from the University of Missouri in 1967 with a degree in journalism. He has worked as a reporter, editor, and columnist at newspapers in Texas, California, and Missouri. He was employed by a major oil company as a public relations executive, and later operated his own public relations agency. He created the board game Sixth Sense in 2003. Ron lives in Joplin, Missouri, and enjoys golf and hiking. I took my first newspaper job at the El Paso Times when I was 19. I was a big fan of Ernest Hemingway back in those days, and I thought how nice it would be to rent some isolated beach house and write for a living. It was all a pipe dream because I lacked the discipline needed to write. Still, as the years rolled past, I held onto my dream. After I retired from a career in journalism and public relations, I gave writing another try. I was 66. Not only did I now have the discipline, but I pieced together in my head a half dozen novels. My fifth novel will be published this spring. My life as a kid was filled with adventure—from climbing Mt. Fuji in Japan to hunting elk in Colorado—and it seemed only natural for me to write about those adventures, albeit with some literary license. I create strong middle-grade and YA characters, present them a conflict, then turn them loose. They map out the story—I simply goes along for the ride. The greatest challenge with middle-grade/YA stories is dialogue that rings true. A middle-grade character speaking like an adult, for example, will turn off a young reader. I strive to write middle-grade/YA dialogue that is real, and pay close attention to what is being said when I am around kids in those age groups. Young Jack O’Brien and his family arrive at a remote U.S. Air Force outpost where Jack’s father is base commander. The year is 1948. Sixteen-year-old Jack has never felt the bittersweet sting of love, but that all changes when he has a chance encounter with Fujiko Kobaysi, a beautiful and enchanting 17-year-old Japanese girl. Jack is immediately smitten. Fujiko’s parents are overly protective and monitor her every move, and Jack and Fujiko meet secretly at her garden, located some distance from her village. Jack is devastated when Fujiko tells him that she has been promised in marriage by her parents to an older man, a practice common throughout Asia at the time. The marriage is only months away. Jack devises a cunning plan, one that will overshadow her arranged marriage and bring Fujiko and him together. Playing out against a backdrop of swirling post-War social change, Voices of the Locusts also tells the story of three families—one black, one white, one Asian. Told in vivid and sometimes haunting detail, Jack and Fujiko are frustrated in their romantic quest by story characters coming to terms (often violently) with the emotional scars of World War II. Much of the story is based on personal experience from living in Japan for two years. The story took shape in my head over many years. Amazon. It is available as an e-book or paperback. I just completed a crime thriller I’m calling “The Redhead, the Bookie, and the G-Man.” It should be available to purchase later this spring at Amazon. Don’t give up on your dream. Tell a story that is unique, create characters who are believable but one of a kind, and write dialogue that is crisp and full or passion. Thank you for spending time with us today, Ron. We wish you much success. Boston, Massachusetts native Pat McDermott writes romantic action/adventure stories set in an Ireland still ruled by the heirs of High King Brian Boru. 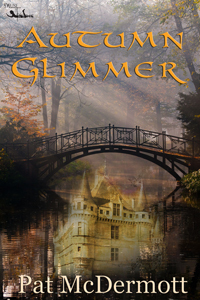 Autumn Glimmer, a young adult paranormal adventure rich in Irish myth and packing a hefty wallop of fairy magic, is the sequel to Glancing Through the Glimmer. Both books are “prequels” to her Band of Roses Trilogy. Thank you for joining us today, Pat. Can you please start off by telling us a bit about yourself? Before I do, I’d like to thank you for having me today, Cheryl. It’s a pleasure to visit The Children’s and Teens’ Book Connection. I grew up in Boston, and I miss it until I try driving down there. I currently live near the New Hampshire seacoast with my husband and three Tonkinese cats. My kids are grown, so I now have the luxury of spending my mornings writing. My grandparents came from Ireland, and the music and legends heard growing up still inspire the stories I write. When I’m not writing, I love to cook and have my own cooking blog. I also have a writing/travel blog in which I describe my visits to various places, especially Ireland. I can recall writing down stories when I was six. My family included some talented storytellers, especially my father. He made up most of his bedtime stories, and his tales often kept me awake for hours, in a good way: they made me want to make up stories too. I had already written the Band of Roses Trilogy when an acquaintance suggested the YA angle. I found I loved writing about my “Roses” characters as teenagers. Their romantic escapades are a tad sweeter than those of their grownup personas, but their adventures are just as exciting, thanks to the zany Irish fairies who’ve joined the cast, creating all sorts of mischief with their magical glimmer. Both “Glimmer” stories take place in the modern Kingdom of Ireland. They star Janet Gleason, the sixteen-year-old granddaughter of the U.S. Ambassador to Ireland, and Prince Liam Boru, the seventeen-year-old son of the King of Ireland. I found it a joy to read dozens of YA books to get a feel for the genre, and I’m still reading them. YA is a perfect vehicle for creating imaginary worlds and devising impossible situations with happy endings. Troubled young readers can find comfort in characters with problems similar to theirs, or they can escape from the stress of growing up for a while. I’m happy to provide a story or two to help. As for the challenge of writing YA, the biggest one for me is getting my head back in teenager mode, but only from an emotional point of view. No sense trying to incorporate fads or clothing styles, as those change too rapidly. I’m also careful to avoid using “current” American teenage slang, though I do have fun with Irish slang. It’s no botheration at all! Autumn Glimmer reunites Janet and Liam for their second fairy adventure. It isn’t necessary to have read Glancing Through the Glimmer to enjoy Autumn Glimmer, but a touch of background wouldn’t hurt. In Glancing Through the Glimmer, Finvarra, the King of Fairies, is unfazed by the fact that Ireland’s fairies are dying from lack of mortal belief in them. Finvarra would rather dance than worry—but he must have a mortal dancing partner. When Janet Gleason’s grandfather/guardian becomes the U.S. Ambassador to Ireland, she must leave her American school and friends behind. A royal invitation to the Ambassadors’ Ball terrifies her. She can’t even waltz and dreads embarrassment. Finvarra’s fairy witch overhears her fervent wish to learn to dance. Seventeen-year-old Liam Boru loathes the idea of escorting another pampered girl to a ball. In fact, he detests most of his royal duties. He dresses down to move through Dublin unnoticed and lands on his royal backside when Janet crashes into him. He asks to see her again, and she agrees. Unaware of each other’s identities, they meet for a date, and the fairies steal Janet away. Liam’s attempts to find her lead to a glimmer-fraught showdown in the dungeons of Clontarf Castle. In Autumn Glimmer, King Brian invites Janet and her grandparents to Glensheelin, the royal family’s country estate, to celebrate Halloween. Glensheelin is Irish for “the glen of the fairy pool,” which the mortals think is a fictitious old legend. In fact, a clan of fairies still lives beneath Glensheelin’s lake, and every seventh Halloween, they must leave their watery home to collect the flowers their queen requires to keep a hungry monster asleep. This year, Blinn, Mell, and Lewy get the job. Blinn wants to see the mortal king’s house. Lewy wants to taste oatcakes again, and Mell goes along on a tragic ride that leaves poor Lewy lost and alone. Liam and Janet must help him find the flower bag before the monster awakens, but Lewy’s misguided glimmer catches the young mortals in a magical spell that threatens to trap them forever in the palace beneath the lake. Why, the fairies, of course! Seriously, a trip to Ireland, specifically to the Connemara Heritage and History Centre in Galway, introduced me to crannogs, which are ancient man-made islands. I liked the idea of having one in the lake at Glensheelin. As I already had my hero and heroine, I only had to concoct a troop of water fairies and a monster. That was easy enough to do after reading several old Irish legends, most of which I found in my aunts’ spectacular collection of antique Irish books. I’ve nearly completed my first contemporary romance, set—where else?—in Ireland. After that, I’ll likely start a third Glimmer book. Just to say thanks again for having me, Cheryl. I’ve thoroughly enjoyed my visit! Thank you for spending time with us today, Pat. We wish you much success. 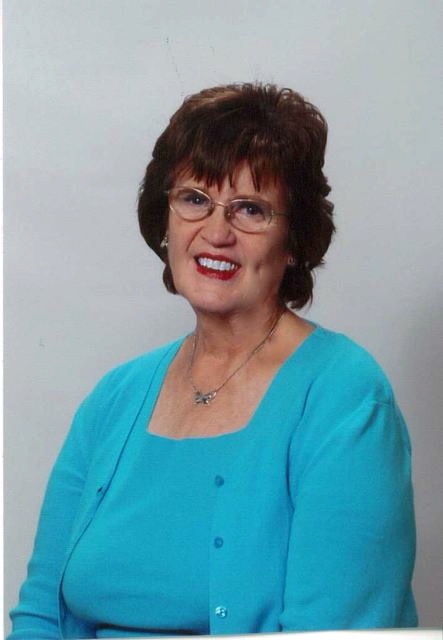 Janet K. Brown lives in Wichita Falls, Texas with her husband, Charles. She began writing while her three daughters were kids but did not study the craft or submit her work until she retired in October,2005. Writing became a second career. 4RV Publishing released Janet’s debut novel, an inspirational young adult, Victoria and the Ghost, July 25, 2012. Pen-L Publishing released Janet’s non-fiction book, Divine Dining Dec. 6, 2012. It’s a 365 devotion book to Guide You to Healthier Weight and Abundant Wellness. Thank you for joining us today, Janet. Can you please start off by telling us a bit about yourself? Through the years of rearing my three daughters and supporting my husband’s success, I wrote as therapy for depression despite my busy hours. I loved my life, but because of my own choice, as with most mothers, I hid my desires and reveled in those of my family. In 2005, I realized time was passing for me to enjoy my oldest granddaughter, so I retired from my job as medical coder and bookkeeper for a pulmonary doctor and set out to enjoy grandkids and write. I joined a local RWA chapter, studied everything they threw at me, wrote, and submitted to one publisher after another. Thank God, I improved over those first efforts, and thanks also, for Vivian Zabel and 4RV Publishing for offering me my first contract, only 6 years after I started, a proverbial short time in trying to sell your first book. God does give us the desires of our heart. I love to write. My first story came in junior high. My English teacher that year dished out more aggravation to me than to any of my fellow students. At the end of the year, she told me she did that because she saw promise in my writing. Imagine that, a little Texas girl who was so shy she trembled at walking into class every day. 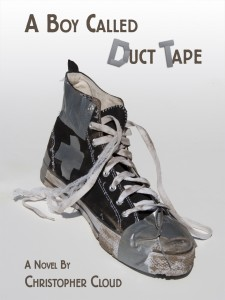 Years ago, I wrote a coming-of-age novel about a college girl. It was my princess falls for a criminal and saves him from himself piece. Victoria and the Ghost was my first teen story. I’ve always loved writing for teenagers. I think I never quite grew up. I’ve written teen short stories for several years. I discovered Clara Cemetery, the real place for part of my setting for Victoria and the Ghost about the time my granddaughter was going through her rebellious teens. The two things just clicked in my feeble brain. Favorite part – It’s just plain fun. You have the freedom to say things an adult wouldn’t say for fear they’d offend someone. Giggle. Greatest challenge – Hands down, it’s keeping up with the latest technology that’s commonplace with teens. Also keeping abreast of the “in” sayings. Thank God for my grandkids’ help and kids in my church. They never realize how much I study them. As I said, the real Clara Cemetery caught my attention, a well-maintained area on the lonely plains, like a Garden of Eden in the midst of desert. Another thing, that brought that inspiration was my granddaughter left a huge high school to go to graduate from a much smaller one with only 100 in her graduating class. 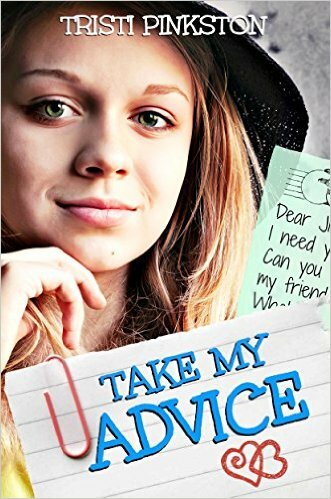 She called it “that hick school.” Funny, but that made me think how traumatic something like that is to a teen. Her father gets a job as a janitor at the old Collin County Courthouse. When he fights alcoholism, Shelley covers his job for him. I explore the ghost legend at the old courthouse at McKinney, Texas. My working title for the manuscript is A Ghost for Shelley. I plan on once again pitching it to Vivian Zabel at 4RV Publishing. I can only keep my fingers crossed. Thank you for spending time with us today, Janet. We wish you much success. Thank you so much, Cheryl, for allowing me to tell you and your readers about my story. Travel back to the Bronx in the unforgettable journey of the Peach kids and their ally Father Sullivan. When Pops passes away, the newly orphaned Peach kids struggle to know what to do. Over the course of the next few days, they learn exactly what their father meant to so many people. When their neighbor decides to create problems for the unsupervised children living above her, they find a staunch ally in Father Sullivan. With his help, they soon come to know the importance of family, faith and forgiveness. The Priest and the Peaches is the debut young adult historical e-book released by Tribute Books and authored by Larry Peterson. Peterson also wrote Slippery Willie’s Stupid, Ugly Shoes, which we reviewed here. This is a moving story of one family’s life turned upside down by the sudden and unexpected death of their father. In addition to Peterson’s keen eye for detail, he provides readers a good glimpse into life in the Bronx in the mid-60’s. What I feel the author excelled in is how the characters evolved throughout the story. I was glad to see that not everyone had a change of heart, which kept the story real. 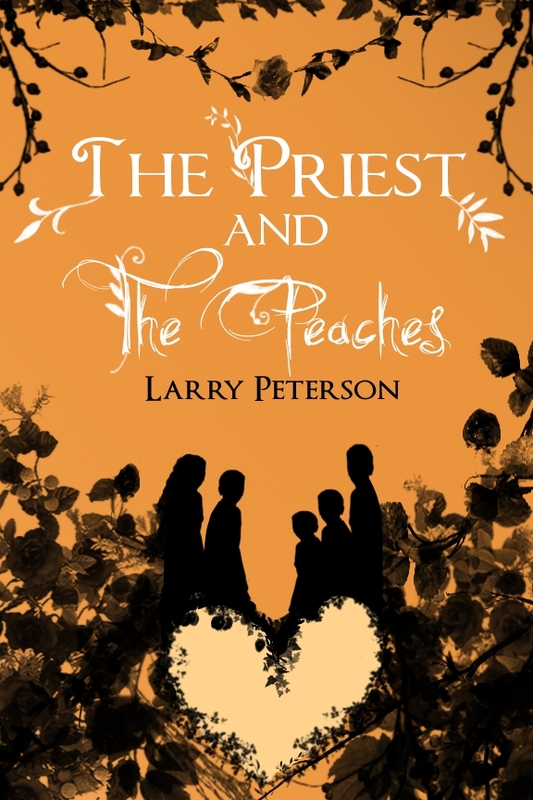 The Priest and The Peaches by Larry Peterson is a story you won’t soon forget. It inspires with its excellent messages. It will touch your heart and even make you laugh at times. I’m glad to hear the author is working on a sequel. I would love to know more about the Peaches.